It’s 30 years ago this Fall that I registered for ‘Chemical Oceanography’, a graduate level class at Louisiana State University as part of my PhD program in Marine Sciences. The class was taught by Dr. Lui-Heung Chan, a quiet woman whom I had never spoken to before. I had just seen her around the department, dashing in and out of her lab, always dressed in a white lab coat. Our textbook was “Tracers in the Sea” by Wallace Broecker and Tsung-Hung Peng, published just 2 years before. It became a legendary text, although it was never published again (maybe there were more print runs, I don’t know). It was the craziest textbook you ever saw, because it was essentially a (hard-bound) typewritten document: 702 pages in courier font! It looked absolutely archaic even then. Little did we know that this was going to be one of the great oceanography classics. “Tracers in the Sea” was published by Columbia University’s Lamont Doherty Geological Observatory (where Dr. Broecker works to this day) and LDGO (or, as it states on the book: “Eldigio Press”) has made the entire book available on their website (downloadable pdf). At the time, I had no idea that Dr. Chan had done crucially important work on Barium data from the Atlantic GEOSECS* (Geochemical Ocean Section Study) expedition. Her 1977 article on this subject has been cited more than 200 times according to Google (probably a conservative number). The results from the GEOSECS expeditions form the basis of “Tracers in the Sea”. The class proved to be one of the most challenging I ever took. Dr. Chan meticulously and patiently guided us through every chapter of “Tracers in the Sea”. Thus I became familiar with the data behind the ‘global conveyor belt’ (the global thermohaline circulation), a term coined only a few years earlier by Dr. Broecker, who was one of the initiators of the GEOSECS expeditions (Read all about them here). There were problems to solve with every chapter, assignments, a rather serious term paper and two tough exams. Throughout the class, Lui Chan remained friendly, soft-spoken, and….. tough. I think she was so brilliant that she could hardly imagine we had reason to struggle with the material. In her quiet way, she impressed upon us what she thought good science was. Good science resulted in simple and elegant solutions and ideas. A scientist should wait with publishing until he/she had enough data to come up with a meaningful story. When discussing a particular isotope, she distributed an article that had recently been published in the journal Science. She mentioned that the researcher had not published anything in a few years before this important paper and she thought that was the way to do it. “Chemical oceanography” was an eye-opener, probably the best class I ever took. I asked my advisor if Dr. Chan could serve on my committee and he agreed. After all, I had a bunch of radiocarbon dates. She asked me some really tough questions about those at my defense two years later, leading to a few sleepless nights on how to phrase my conclusions so that she would accept them (I managed, she did accept them). Lui-Heung Chan was born in Hong Kong in 1939. She left for the United States in 1961, completing her PhD at Harvard in 1966. She married Lei-Him Chan, a Harvard PhD physicist. They both got faculty positions at Louisiana State University, he in the physics department and she in the department of geology and geophysics. They had two children. She was the first woman to become a tenured geology professor at LSU (subsequently in the Charles Jones endowed chair in geology and geophysics). Her most important contributions were made in understanding Lithium in the earth’s crust and oceans. She was a role model for women in science. Sadly, she died after suffering a stroke in 2007. She was 68. Chan, L.H., D. Drummon, J.M. Edmond and B. Grant, 1977, On the Barium data from the Atlantic GEOSECS expedition. Deep Sea Research V. 24, p. 613-649. Chan, L.H., J. Lassiter, E.H. Hauri, S.R. Hart, J. Blusztajn, 2009, Lithium isotope systematics of lavas from the Cook–Austral Islands: Constraints on the origin of HIMU mantle. Earth and Planetary Science Letters, v. 277, no. 3-4, p. 433-442. * The GEOSECS Program was conceived in 1967 and began at the start of the International Decade of Ocean Exploration in 1970. The objective of the program was “the study of the geochemical properties of the ocean with respect to large-scale circulations problems.” We know very little about the oceans today, 45 years after the start of GEOSECS, but we knew absolutely nothing back then and technology was nowhere. 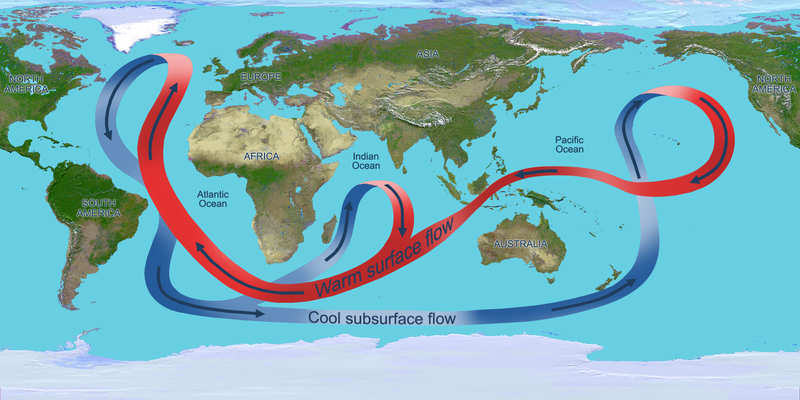 GEOSECS yielded massive new insights in ocean circulation and chemistry and provided the basis for understanding the link between oceans, atmosphere and climate. This entry was posted in General geoscience, Women in geoscience and tagged climate, Climate Change, earth science, geology, geoscience, oceanography, Science, women. Bookmark the permalink.